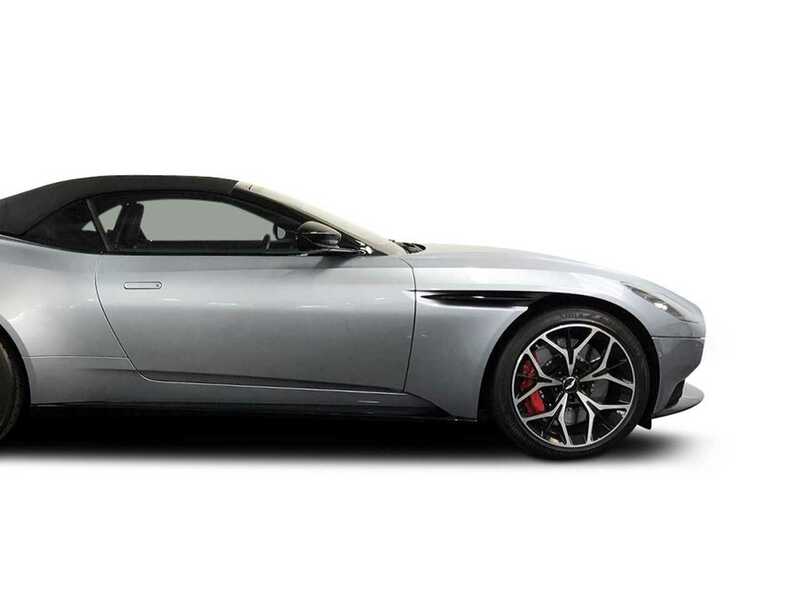 Why hire an Aston Martin? We have been renting Aston Martins for over 18 years. From the hard top classic DB7, to the convertible DB7 Volante we offer our customer unrivalled service and access to pristine cars that turn heads every time. We always have cars available for day or weekly hire and can accommodate short notice bookings. As one of the most well-known luxury cars on the market is the Aston Martin. This line of fine vehicles not only offers unrivalled class and performance, but power and safety as well. The name has been known since 1913, and Aston Martin has been the vehicle of choice in several of the James Bond films. If it's the car James Bond has decided to stand behind for so many years, you know it must be good. Hertz Dream Collection Aston Martins combine the security, peace of mind and customer service you would expect from a global car rental leader such as Hertz with top of the range Aston Martins. All cars are owned by Hertz Dream Collection and are rented to customers under the strict terms and conditions of Hertz. At Hertz Dream Collection, we offer the DB7 adn DB7 Volante (convertible) alongside many other pretige brand models readily available for you to hire when you need them. We guarantee that all our hire cars are fully checked and valeted prior to being released for rental. Other brands avaliable to hire include Audis, Bentleys, BMWs, Ferraris, Lamborghinis, Mercedes, Porsches, Range Rovers, Rolls Royces, Maseratis, Nissans, Teslas, and Jaguars. You can choose one-day, multiple-day and week-long options for any needs that may arise. Whether you're heading to a business meeting in another city or want to impress the family at your reunion, the DB7 is the ultimate in luxury sports car. All Aston Martins can be delivered to local London airports including Gatwick or Heathrow or clients can collect their cars from our Bayswater or Marble Arch branches. You can even select a convenient drop off or collection time so you won't be kept waiting. We are open 24/7 so our Opening times should be convenient for everyone. When you're attempting to make a grand entrance to a party or event, corporate meeting, or just want to turn heads spending time with your friends and family, an Aston Martin can do just that. The first impression this car gives is wealth and power, anyone who drives it must have both of those traits. For a large corporate event, you want your employees, shareholders and company peers to see the immense value within the company. Don't show up in a lesser vehicle; hire the use of an Aston Martin and either drive it yourself or have it chauffeur driven. Aston Martin focuses on performance, power, elegance and a luxurious interior. Every part of these vehicles is made to meet a high level of standards and provide the driver and passengers with a memorable experience on the road. From the suspension and brakes to the overall shape and interior design, Aston Martin is a name that screams prestige. See DB9 rental prices. The massive AM11 engine offers some of the most power in the Aston Martin vehicle line. This engine can push the car to 62 mph in 4.6 seconds. If you enjoy the feeling of being forced into your seat, this 6 litre capacity engine can do exactly that. With such a powerful engine you need powerful brakes, and the Aston Martin line of vehicles uses large silicon-injected carbon ceramic rotary brake pads. Don't unleash all of the engines' power without a sure way to bring it back under control. These brakes ensure your safety at all speeds. Aston Martin provides a three-stage suspension system that adjusts with the vehicle whether you are in Normal, Sport or Track modes. With the press of a button, your suspension and acceleration will adjust to give you a more customised driving experience. The lower centre of gravity with Aston Martin vehicles helps the car hug the road and provide outstanding precision and control when you are in the driver's seat. Tight curves and corners are no problem with Aston Martin, even at speed.